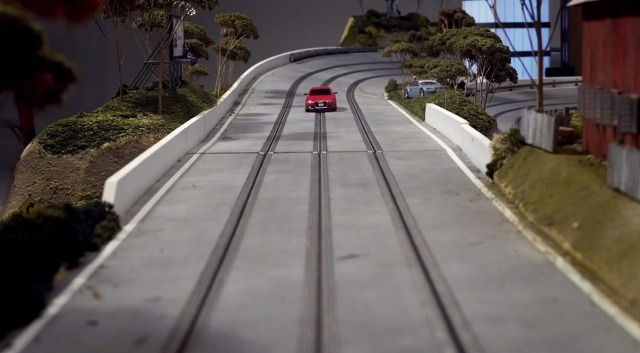 "Slot Mods built a one of a kind slot car track featuring 3D printed Audi A4 cars with a camera inside each car. The footage is sent to an iPad, which is used to control the car." Damn. I am late on this one. Sorry, Magnus Walker :/. Nevertheless — if you haven't seen the "full version" of Urban Outlaw anywhere else, sit back and enjoy. It's one of the best and most inspiring portraits I have seen for a long time. Chapeau. Thanks for notifying me, Tamir Moscovici — stunning work. Due to the fact I am living in Hamburg, I am—to be honest—bored by Porsche 911. It is not the car that bores me to death, it is more the fact that I see too many dumb*sses driving around in a 911. Every day. So I am blanking Porsche out. Nearly almost. Some weeks ago I stumbled into a video, in which Magnus Walker (Serious) races a 1971 Porsche 911 down the freeway. This video made go "... hmm ...". And when I came across the Tamir Moscovici's "Urban Outlaw" trailer, one sentence doesn't go out of my mind: I have to free (at least) one Porsche 911. Soon. Magnus Walker via John Straub.